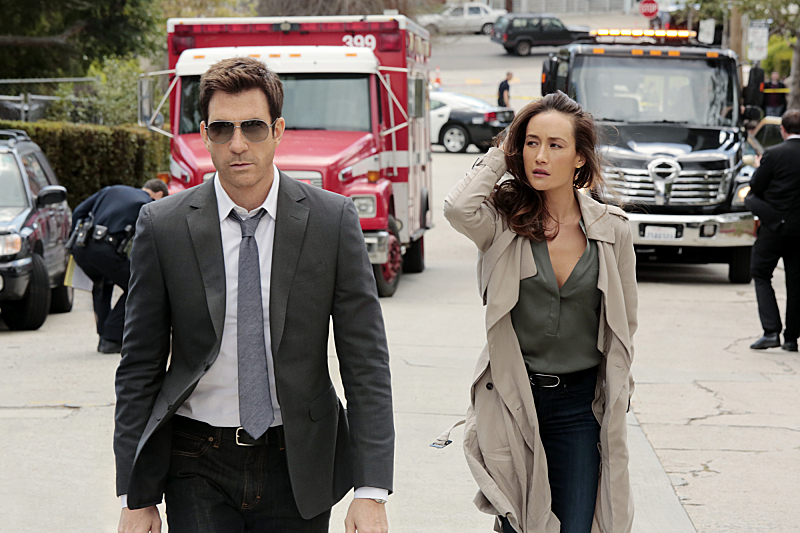 Headed to Wednesday night on CBS is Kevin Williamson's new series Stalker, a new CBS drama, which will have Nikita's Maggie Q teamed up with Hostages Dylan McDermott as they investigate stalking incidents. That includes anything from voyeurism, cyber harassment and romantic fixation. The trailer gives us an introduction to the all-business Lt. Beth Davis (Maggie Q) and Dylan McDermott's Jack Larsen, the latter of whom seems to take a lighter approach to things, which could make for an interesting pairing as I don't think we ever see Beth crack a smile. Beyond the crime-solving duo, the trailer focuses a lot of attention on violence and stalkings, as we see one victim set ablaze by her stalker. More violence and creepy moments ensue from there. The Following's Kevin Williamson is producing Stalker. Here's CBS's full description for the drama. 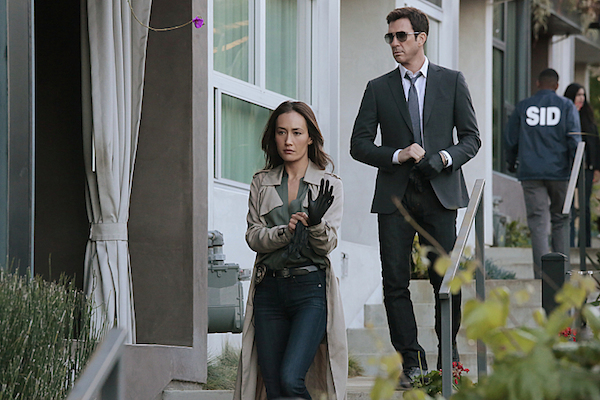 STALKER stars Maggie Q and Golden Globe Award winner Dylan McDermott in a psychological thriller about detectives who investigate stalking incidents – including voyeurism, cyber harassment and romantic fixation – for the Threat Assessment Unit of the LAPD. Det. Jack Larsen (McDermott) is a recent transfer to the Unit from New York City’s homicide division, whose confidence, strong personality and questionable behavior has landed him in trouble before – but whose past behavior may also prove valuable in his new job. His boss, Lt. Beth Davis (Maggie Q), is strong, focused and an expert in the field, driven by her traumatic personal experience as a victim. With the rest of their team, young but eager Det. Ben Caldwell (Victor Rasuk) and deceptively smart Det. Janice Lawrence (Mariana Klaveno), Larsen and Davis assess the threat level of cases and respond before the stalking and intimidation spirals out of control, all while trying to keep their personal obsessions at bay. 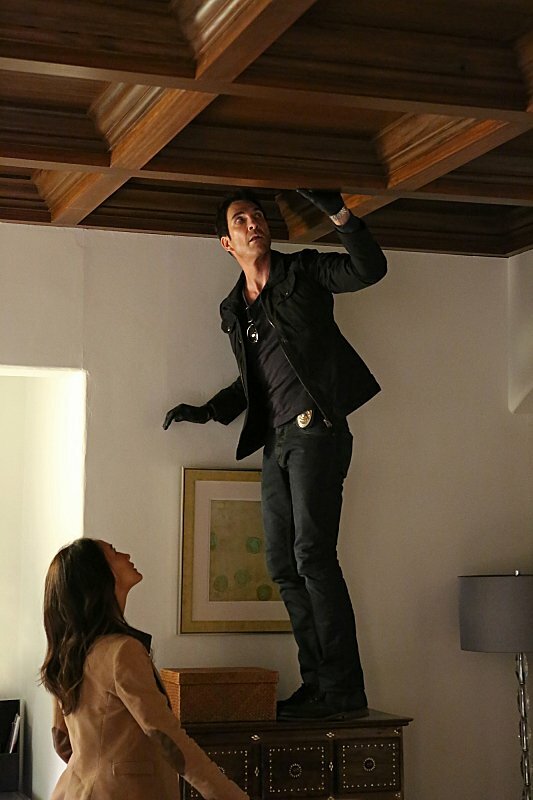 Talk of voyeurism and romantic fixation gives me a bizarre Silk Stalkings flashback, especially when taking into account the attractive pairing that is Maggie Q and Dylan McDermott. But looking at the trailer, those familiar with The Following may feel compelled to compare the violence and drama to Kevin Williamson's Fox series. Stalkers may aim for a more procedural pace, however, if the series follows along with the traditional CBS hour-long structure. We'll have to wait and see. CBS has Stalker lined up to air on Wednesday night after Criminal Minds starting this Fall. Check out the full 2014-2015 lineup for CBS here.